Is anyone interested in setting up a group in Bath? I live towards Malmesbury, but could be tempted to get involved! I’ve set up a Bath Tasting Group here! I’ve added the three of you already. If anyone else would like to join, just click the group link above and click ‘join’ in the top right corner. Then you can start messaging each other to set up your first meeting! Let’s see how much interest we get in Bath and surrounding area then we can think about when, what and where! Tanqueray, lemon and schweppes was my fav, but now we only have a shower !!! but now we only have a shower !!! Well, wine tasting in Shower might just be the next craze! I can imagine more interesting things to do in the shower !!! Hi , I live in Bath and would be keen to meet . Have joined the group Laura set up but about to be away for a couple of weeks - will come back to this chat when I return. Hi, I’m in Swindon and would be up for tasting events on Saturdays and Sundays (daytime) as can get the train over. Looks like we’ve got enough interest in Bath and surrounding areas. Any thoughts on when, where and most importantly what we might taste! I’d be happy to host if we’re no more than 12. Weekends are usually better for me if possible! We are in Chippenham… When & where is the next meet up? Apologies for radio silence but I’ve been very busy after taking up a committee post at a local sports club. I need an evening of wine! I’m still interested in doing something in or around Bath. Who is up for helping to organise as looks like there are 16 of us potentially. 16! That sounds like a private room at a restaurant rather than someone’s house, unless someone has a large house? 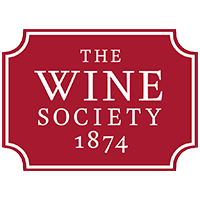 Of course you could all attend the Society’s New Zealand Growers tasting in June. Maybe arrange a BYO restaurant following the tasting to get to know each other and start a regular meet up if you haven’t already met up.